12:00 – 12:30 PM: Check In at Hotel. Get some Snacks. 3:00 – 6:00 PM: Boat Ride at Brahmaputra River. Starting from Circuit House Park and finish at the same point. 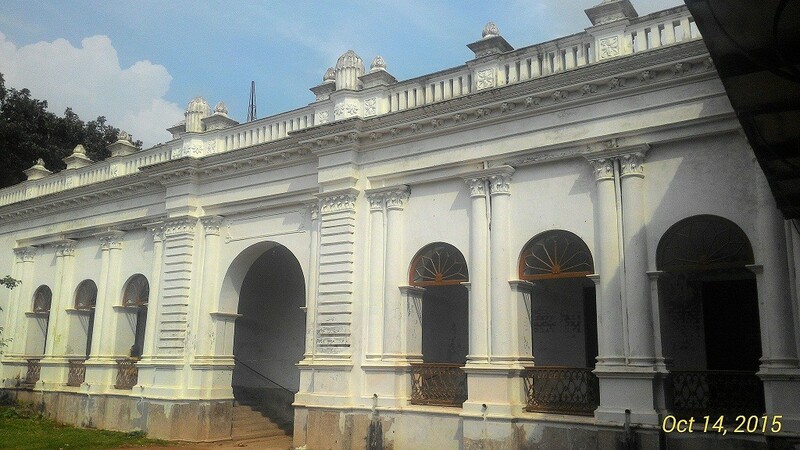 Shoshi Lodge is located at the center of Mymensingh city which is also known as the Residential Palace of Moharaja Shoshi Kanto Acharya. This palace is very close to the river Brahmaputra which is being used as Women Teachers Training College from the year 1952. 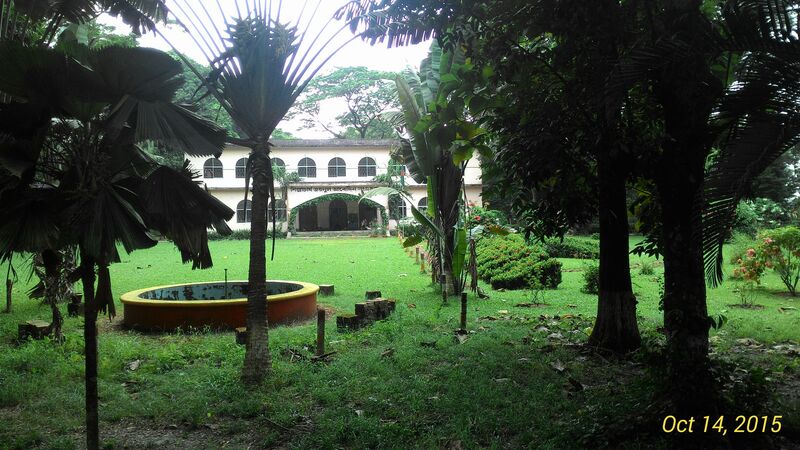 On the other hand, the male teachers training college, Alexander Castle is one of the most amazing and renowned structure in Mymensingh District. It was built by Maharaja Suryo Kanta Acharya Chowdhury(মহারাজ সুর্যকান্ত আচার্য চৌধুরী) in 1879 in the memory of the 1st zilla magistrate of Mymensingh Mr. N .S Alexander at the time of Jubili festival. Mymensingh Museum, formerly known as Momenshahi Museum is located at the bagan bari (garden house) of Zamindar Madan Babu at 17 Amrita Babu Road, Mymensingh, Bangladesh. The museum, which began as an important regional institution for preservation of locally collected historical evidence, lacks proper preservation. 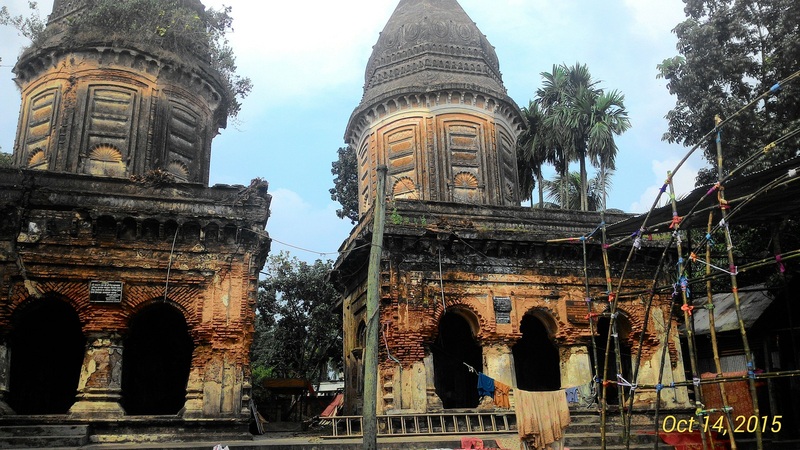 The Muktagachha Tin Shiva temple/mandir is a twin temple located outside the Rajbari of Muktagachha in Mymensingh. The temple was constructed in 1820 by Rani Bimola Devi, the mother of Maharaja Shashikantha Acharya Choudhary, the Zamindar of Muktagacha. On the other hand, Jora Kali Mondir was established in the year 1820 by the patronize of Shoshikanto Acharya (one of the great Zamindars of Muktagacha). Basically this two adjacent temple is a great example of mirror structure in Bengal. It has three arch shaped doorways at the front side. 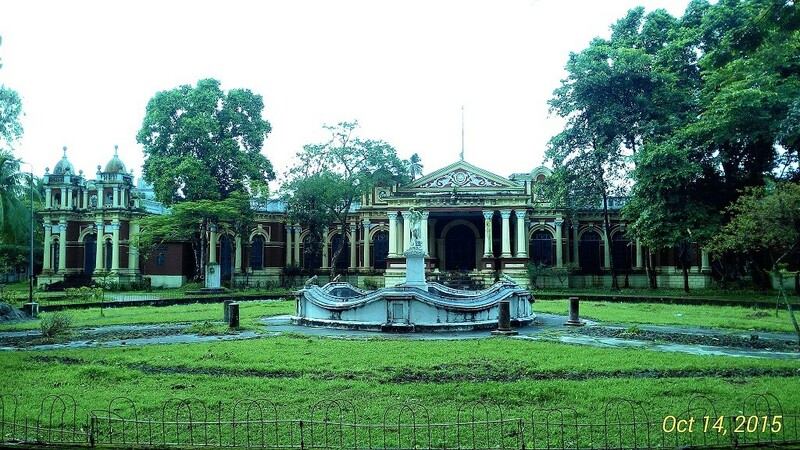 This old palace is located at the heart of the Muktagacha Upazila, 16km west to the Sadar Upazila. Previously the name of Muktagacha was Binodbari. When the first ruler named Srikrishna Acharya (শ্রীকৃষ্ণ আচার্য) arrived here, a local inhabitant named Muktaram Kormokar welcomed them with a large lamp stand that was made from brass. In that portion of our country, people call a lamp stand as Gachha. This gratitude pleased the Zamindar and they have renamed the area as Muktagacha using that inhabitant’s name and the lamp stand’s local name. 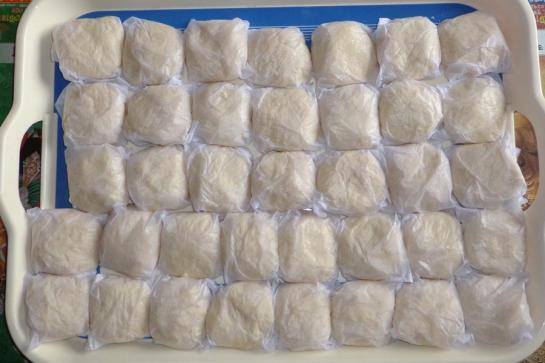 The Monda (Sweetmeat) of Muktagacha, Mymensingh was first introduced by Ram Gopal Pal in 1824. Gopal Pal offered Monda to Maharaja Suryakanta Acharya Chowdhury. He was satisfied and amazed by the taste of this unique sweetmeat. Later the Zamindar encouraged him to prepare monda to entertain guests who visited the zamindars. Then this tradition had became so popular among the other Zamindars and later in common people. 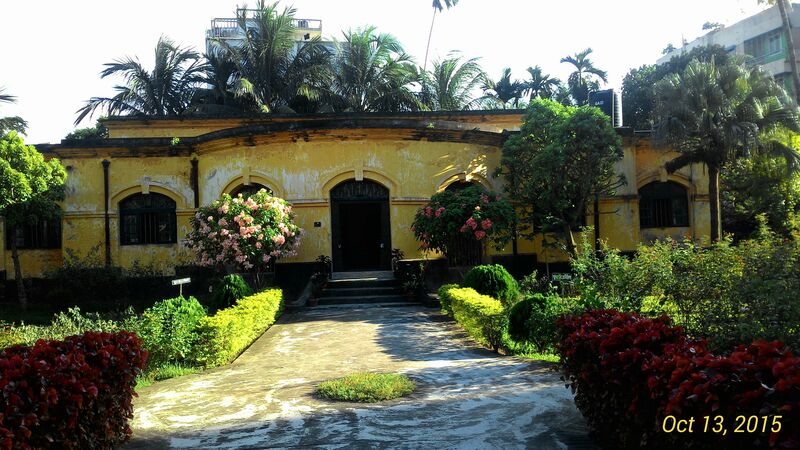 Shilpacharya Zainul Abedin Sangrahashala is an art museum located in Mymensingh District. It was built in the memory of great Teacher of Arts ” Zainul Abedin “. This Art gallery was established in 1975 and it contains various collections of the artist Shilpacharya Zainul Abedin (1914–1976). Zainul Abedin spent his early days. He was a pioneer of the country’s modern art movement, created works of art on subject matters such as the Bengal famine of 1943 and the peoples’ independence. The museum is located in the area of shaheeb quarter park on the bank of the old Bramaputra River. 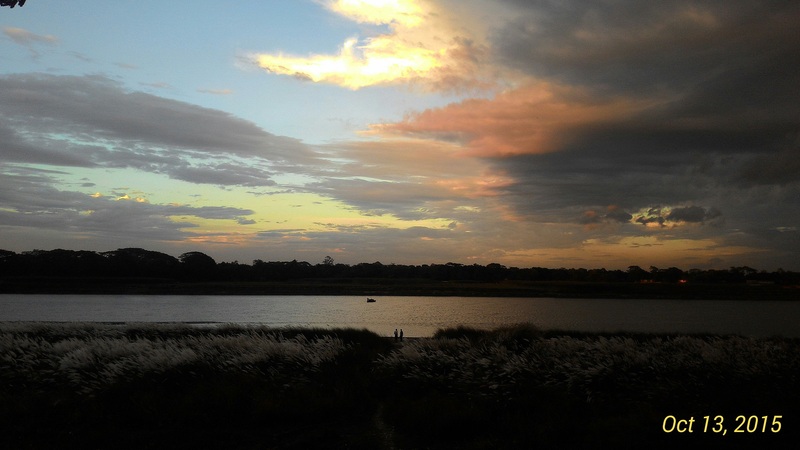 Mymensingh district stands just beside the old Brahmaputra river. It curves southeast to join the Meghna River near Dhaka. The Padma and Meghna converge near Chandpur and flow out into the Bay of Bengal. It is a popular place for a boat ride for a couple of hours.